I Made My Final Student Loan Payment! I finally did it! 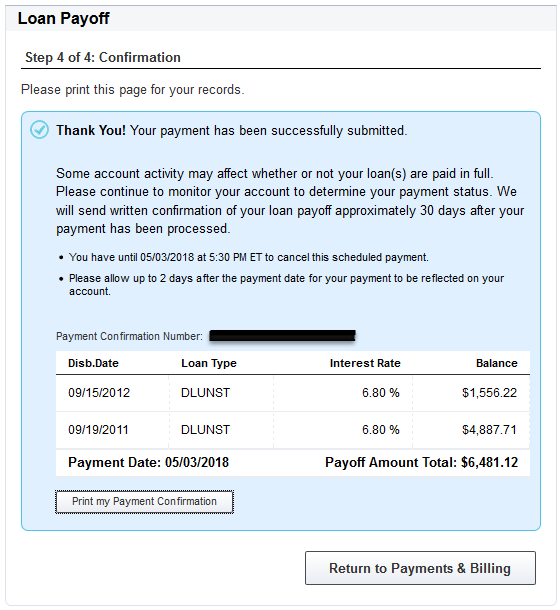 After a couple of years of putting it off, even though I had the means to do it, I paid back my student loans in full. Ever since I graduated from university, each month I would payback the scheduled amount. I could have easily doubled on payments, and to be honest that would have been the rational thing to do, but I didn't. However, after making the final payment and receiving the confirmation email, it felt as if a psychological burden had been lifted. I am relieved to start a new chapter in my life with zero debt! Now that money can flow into where it really should be going! ... Crypto! You got a 32.73% upvote from @emperorofnaps courtesy of @jo3potato!